1988, Directed by Ron Mann. While Canada's feature film industry is usually in flux, our backbone has always been documentaries and industrial filmmaking. Continuing in this tradition is Ron Mann, he most famous Canadian documentary maker of the last 20 years. His 1988 film Comic Book Confidential even won a Genie award, and still stands out as his best work, which includes other documentaries like Twist and Grass. What qualifies Comic Book Confidential as Canuxploitation is it's decidedly low-brow subject matter. While hundreds of documentaries are produced every year in Canada, few dare to waver from social or political topics. The fact that Mann is apparently more interested in Zap Comics than the Zapatista, can be seen as subversive to the mainstream of Canadian documentary film making. This movie is one of the most comprehensive studies I have ever seen of the comic book industry-- it's even better than most books on the subject. 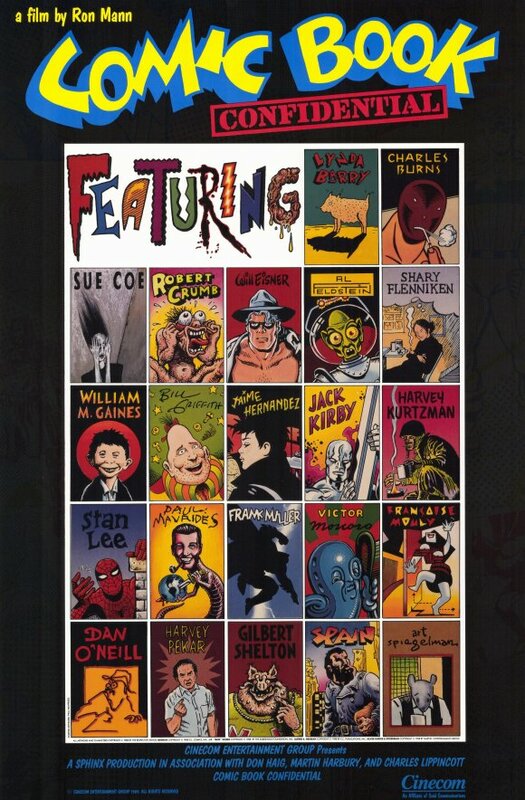 It's main strength is that it gracefully jumps from super heroes to underground comics, " arty" comics and back to MAD to provide an overview of the last 70 years of the whole comic book industry. Interview driven, the film begins in 1933 with Famous Funnies, the first modern comic book. From there it briefly discusses the origins of superhero comics and the post-war crime and horror publications. 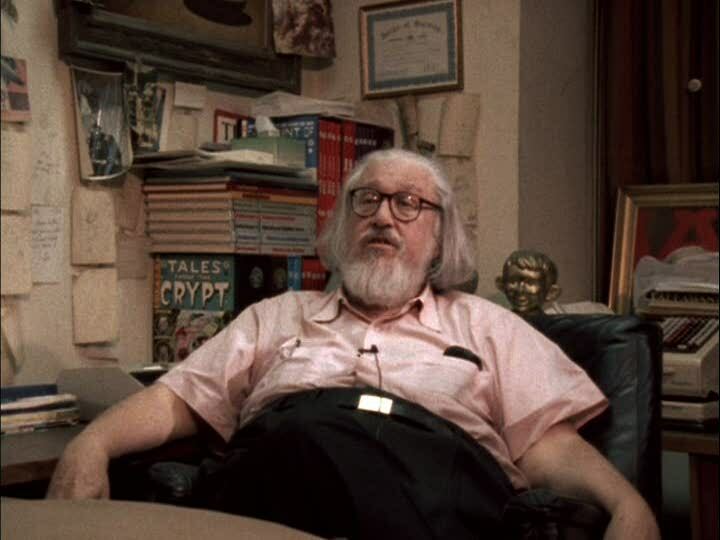 There is a lengthy discussion with William Gaines, one of the most influential cultural producers of the past 50 years who fueled young minds with his EC (Entertaining Comics) line that included such titles as Tales From The Crypt and Two Fisted Tales. This branches into Dr Frederic Wertham's attack on comic book violence, which led to the self imposed " Comics Code." There are clips from anti-comic book films, people burning comics, and even William Gaines' testimony to the Supreme court. The self-censorship board eventually led to a superhero renaissance spearheaded by Jack Kirby. From there, the film looks at Gaines' next publication, MAD magazine, as the father of the San Francisco underground comix scene. We see several film clips of influential artists like Robert Crumb and Spain. 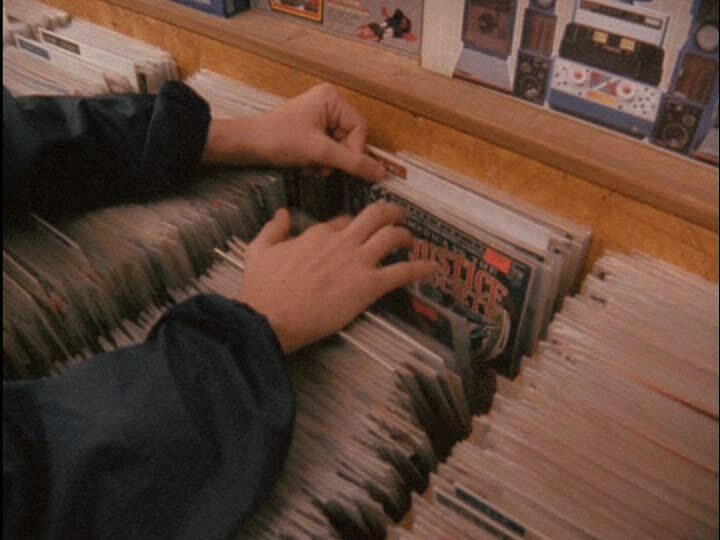 The discussion of the underground and copyright infringement leads to the final third of the film, the "modern" alternative comics scene, with books like Maus, Love & Rockets and Raw. One of the most interesting aspects of this section is that Mann had many of the artists narrate their strips. 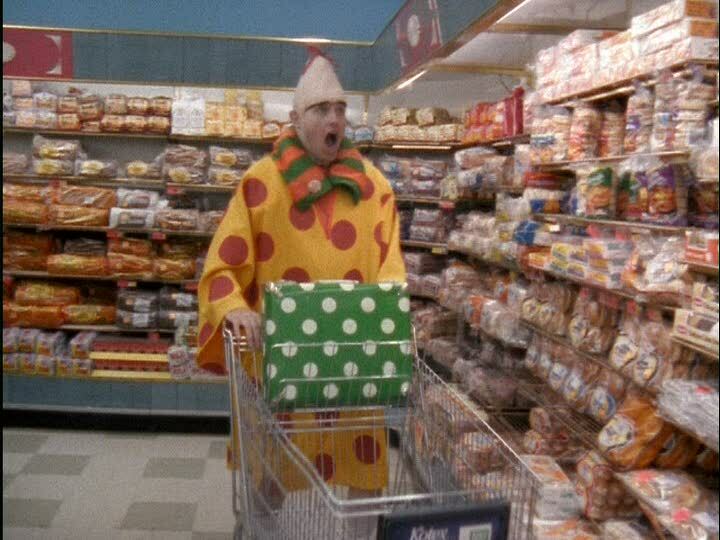 Particularly good is Harvey Pekar's narration about stealing jazz records from American Splendor, but my favourite segment is Bill Griffith dressed up as his creation, Zippy the Pinhead, shopping for Ding Dongs. What I like about Comic Book Confidential is that it updates the traditional Canadian documentary style by eliminating the voice-overs, and adding animated introductions to each of it's "chapters." All of this is delivered in a style that does not pander to the audience, but provides an unbiased discussion and chronological survey of an often ignored art form. Unfortunately, since the film was completed in 1988, many of Canada's more recent comic talents like Joe Matt, Julie Doucet and Seth were just slightly too late to be featured. Perhaps a Comic Book Confidential II: Canadian Edition would be in order?